The 2018 Porsche Cayenne is a vehicle that is known for its luxury and high quality features. The 2018 Cayenne brings about some new features that have not be seen in previous years. While many of these changes are slim, they will be noticeable. The changes will be unique to the Porsche Cayenne so that it is still easily recognizable on the road. The new features added to this vehicle will make it very comparable with the new Audi Q7. A new taillight strip is one of the new main additions to this vehicle. Inspiration for these lights come from the Porsche 911. This light design is a major improvement from predecessors in the past. The 2018 Cayenne’s exterior look closely resembles its predecessors, with the exception of the new taillight strips. The headlights are also expected to receive an update. The headlights are expected to be updated with LED technology for daytime running. An all-electric powertrain is a new addition that is expected to be seen in the 2018 Porsche Cayenne. This speculation is a result of Porsche producing a wide range of turbocharged engines for other vehicles, such as the 911. As previously mentioned, this vehicle is very similar to the Audi Q7, which has more efficient engines in its most recent models. This is another reason why it is speculated that the 2018 Porsche Cayenne will receive a smaller, more efficient engine for the 2018 model. The 2018 Porsche Cayenne is a vehicle that will provide you with a luxurious ride that has excellent interior and exterior features. This is a vehicle that is perfect for those who are looking for a sharp vehicle that has been given some recent, useful additions. 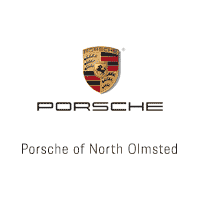 Visit our dealership today and come see the 2018 Porsche Cayenne for yourself. This is the best way for you to get a personal feel for the vehicle. While here, you can even take the 2018 Porsche Cayenne for a test drive and see what all the hype is about. The staff at our dealership goes above and beyond their duties to ensure that a vehicle is right for you before you purchase it. Customer satisfaction is a top priority and the main goal is to make sure you are happy with the service you are provided with while you are here at our dealership. Don’t wait any longer! The car of your dreams is waiting on you!